Best Cloud Storage For Music - It almost seems like the days of storing music on your hard drives are over. Either we listen to music through YouTube or we play it directly from some software like Spotify. But believe it or not, some of us still like to keep our own list of music safely stored on our hard drive. I used to store my playing list on my PC but it wasn't very handy. I was able to listen to it while I was at home but that's pretty much where it's usefulness ended. I couldn't carry the music collection with me unless I plugged in my phone and uploaded it. But I had to do that every day in order to keep my list updated on both ends - and that was pretty tedious. Well, that's where cloud storage comes in. It's not only useful for work documents (heck, I could leave work associated documents at work and wouldn't mind it :P) but with media as well. There are many real advantages of having your music in a cloud storage. Before we jump into figuring out which is the best cloud storage for music, let me explain them to you. 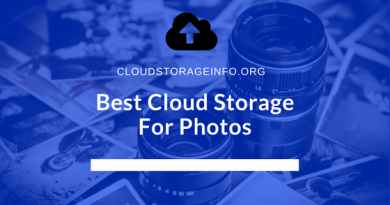 Skip this and find out which is the best cloud storage for photos. 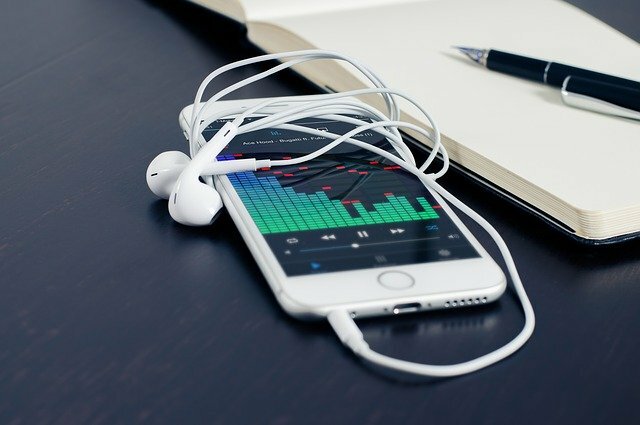 When you install applications provided by your cloud service across all your devices you'll have access to music at all times, wherever you are. Just upload the music on your computer and it will get synced to your smartphone or laptop where you can continue listening to it on the go. Uploading and making sure that all of the music is updates on all devices is time-consuming and annoying. If you decide to go for a cloud storage you can have an unlimited storage directly on your phone. All of the music is stored in the cloud so that it doesn't take up space on your device. Hard drives are a mechanical device and everything that's mechanical will break sooner or later. By uploading your music to the cloud you get rid of that problem. Your files are backed up multiple times on different servers in multiple locations. If you wanted, you could also create a shared folder with your friend so that you can both upload music to it and then listen to it together, while being in 2 different places. Pretty cool if you ask me. Whatever cloud storage you pick, make sure they have well-developed synchronisation system and apps that work without problems. You don't really want to end up uploading your entire music collection just to realise it won't sync to your mobile phone because of some glitch or bug. Pay attention to upload and download speeds as well. While it isn't that important on daily basis it's definitely important the first time you upload your collection. You don't want to wait for a week before you can start using your cloud. Cloud storage capacity and pricing go hand in hand. The more storage you want, the more money you'll have to put aside for it. With that being said, I am definitely not recommending you to go for the cheapest option out there. Pay attention to their features and how well does the service run. Reading a few reviews beforehand is not a bad idea either. Pick a cloud storage that has developed its applications for music as well. That means integrated music players that allow you to play directly from the cloud. That will spare you the issues of integrations within your mobile or on your computer. Doesn't matter why you're getting cloud storage, it's very important that you pick one that makes sure your files are backed up multiple times on different servers or locations. You can explore the cloud storage's website for that information or you can just check my reviews here at CloudStorageInfo.org. I would also love to hear your thoughts about it in the comments section down below! pCloud is absolutely my top pick when searching for the best cloud storage for music. It offers unlimited upload and download speeds and protects your files and music with the best security options available. If you want your music encrypted client-side you can also go for the pCloud Crypto. The free plan offers up to 20 GB of cloud storage. pCloud has an inbuilt media streaming player which allows you to listen to your music directly from the cloud. It also offers a very affordable 500 GB plan which you can take advantage of if you have a bigger music collection. It isn't good just for music, it has a wide variety of features that will make your life easier. The biggest of them is that it doesn't take up any space on your devices or computer to store your music. Check out the full review of pCloud here or go directly to pCloud here. Sync.com doesn't provide a built-in music player which is what you will have to take into account if you go for this cloud storage. The reason it came in this article is that it's one of the best cloud storages out there. With its Zero-knowledge privacy and client-side encryption is one of if not the most secure cloud storage out there. When you join you get 5 GB of free cloud storage. Unlimited bandwidth, great syncing and sharing options are one of the many features that Sync.com offers and is definitely one of the cloud storages I recommend to newcomers. Check out the full review on Sync.com here or go directly to Sync.com here. Dropbox is one of the better cloud storages that you can use for your music collection. It has an integrated music player and a bunch of other features that aren't necessarily connected with music. Having said that you will have to take a compromise, due to the fact that Dropbox isn't the safest place where you can store your files. Their privacy settings are questionable, but that shouldn't be a big issue if you only plan to store music in the cloud. The free version comes with 2 GB of cloud storage. Check out the full review of Dropbox here or go directly to Dropbox here. 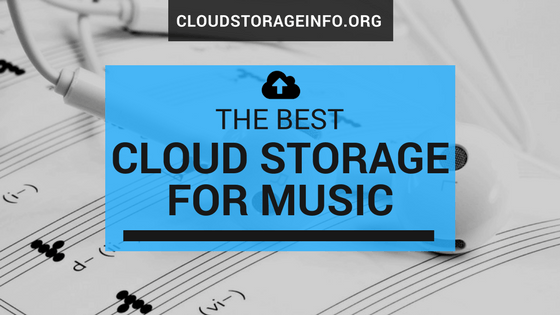 Do you agree with my "Best Cloud Storage For Music List"? Let me know what is your favourite cloud storage in the comments section down below! Does those cloud music storage need the wifi or internet connection for be able to access? Thank you for review all three. I have hear about dropbox before, but never try it yet. Hmm…I would like to ask your opinion about soundcloud website. I remember that website has the similar service as you describe at here. Can you review it? Or in other words, can I still be able to hear my music offline when I upload those into cloud storage like Pcloud? You’re still able to use the files even if you’re online if you mark them for offline usage. In most of the cloud storages that’s actually enabled by default so the answer is yes. Thanks very much for this information! I have been looking for a way to keep my playlists updated on various devices and accessible remotely without having to rely on constant updates or using up storage that I would rather save for apps and photos. I had used dropbox previously but didn’t realize all of its capabilities for music storage as well. It is a personal favourite and I look forward to adding this to my many other uses for it. 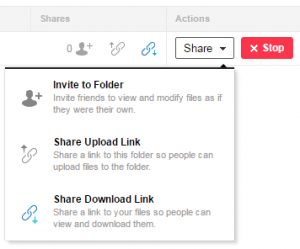 Dropbox is really useful for storing documents and sharing them with your co-workers. It’s also great for collaboration. But if you want more space for free feel free to try out pCloud or Sync.com. Mega also offers 50GB of free storage which is pretty good. This is really informative. I can relate to the real usefulness of storing our music collection in the cloud space totally because recently my 500 GB Transcend external hard drive went bust. And with it had gone my nearly 150 GB of music collection. I have got it inspected and I have been told that some data could be recovered but the drive partition where I stored my music is the worst affected. Too many bad sectors they say. I have been using the free version of Dropbox but that is mainly to do with storing documents and a few important photographs. But pCloud sounds good with its 20 GB free storage. Thanks for the info! Now, that’s a waste. It’s always good to keep your data backed up, no matter how you do it. Through another external hard drive, backup, cloud storage service or your own personal cloud. As long as it’s stored in two locations you can sleep peacefully. Choosing a cloud storage over an external drive obviously comes with additional features but it’s important if you at least back up your files to 2 different locations. Yeah, pCloud is quite generous with 20 GB. It should give you enough space for a hefty music collection, not as big as your previous one of course. Thanks for your post on this. I just wanted to confirm my understanding of how this service works. Rather than streaming from sites like Youtube and Spotify, you actually upload your own music to a server and then stream than wherever you are? Looking forward to hearing your answer. You’re just about right. Some people (like me) still have a local storage of their favourite music stored on their hard drives or on their smartphones. For example, I don’t like using Youtube on my smartphone since it stops playing music when the phone locks down (goes to sleep mode). That’s one of the reasons to use a local storage. Cloud storages come into play here due to the fact you can have much larger music collections on your phone since you’re limited by the cloud storage and not phone storage. You can also access that music from pretty much any device. Your article is well detailed and informative. This is the first time l get to hear about CloudStorage for music and am going to try it out. With what l read, does it mean that l don’t have to worry about space usage while downloading my music, so cloud storage will take care of it all? If you will save all your music on the cloud like pCloud then yes, you don’t have to worry about local storage. Just make sure you select the plan that is most suitable to you and give it a try. This is a really awesome article. I have almost entirely switched over to Apple Music as my main source of music listening, but I do have files that I would like to back up in cloud storage. Currently, I have an iCloud subscription but I hadn’t heard of some of the others you mentioned like pCloud. I’m definitely going to look into these as another option. Thanks! Having a service like iCloud certainly almost eliminates the need for local storage, but like you said, there are still certain files or music that you wouldn’t mind stored locally or in the cloud. Call me old-fashioned but I still do that, perhaps out of habit. Let me know if you have any questions. You know I never thought of storing my music on the cloud. Crazy, because my phone has no room for anything else. I like the pCloud and I am going to go ahead and give it a try. I like the fact that I can have numerous uploads/downloads and that it has a built in media streaming player. Do you think that the free version is sufficient? I would say it’s sufficient if you’re satisfied with 20 GB of free cloud storage. That’s about 4000 songs if you say that every song consists of about 5 MB. I think that’s plenty if you need it just for music. The payable version won’t give you any advanced features that would prove to be useful for music. I am not going to use it to store music (well, at least that’s not my main purpose), so I definitely have to try Synccom. The only thing that worries me a bit are slower down/upload speeds outside US, Canada. I’ve only gone through the important criteria when picking a cloud storage for music. 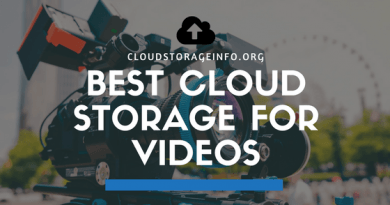 I would advise you check out my Top 10 Cloud Storage Providers 2017 list and check out which cloud storage is the most suitable for you.